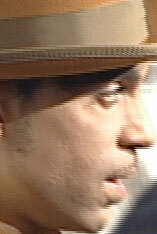 Prince -- Nothing Compares to P.U. Prince is a genius both of the pen and the guitar, not so much of the olfactory. So says a perfume outfit, which alleges in a new lawsuit His Violaceousness skipped out on his obligation to promote a perfume called 3121. The suit says Prince canceled a biz meeting 15 minutes before it started, and has cost Revelations $100K. As Bulwer-Lytton put it, talent does what it can -- genius does what it must.